Detailed turret rotates 360 degrees and includes poseable main gun, side mounted smoke grenade launcher and opening hatches. Hull details include: top and side opening driver and gunner hatches, bow machine gun, driver's porthole viewport, side mounted spare tank treads, tow chains, shovels, rear access hatches, gas can and stowage box. Printed step by step building instructions. 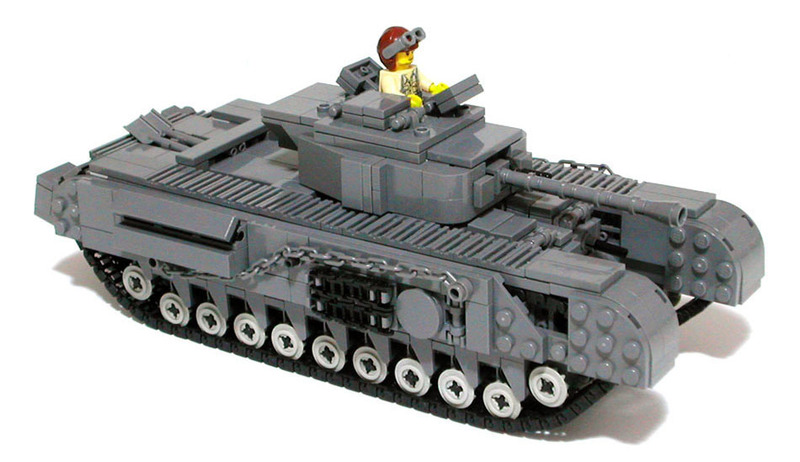 Includes British Tank Commander minifigure.